Despite two long years of hateful rhetoric attempting to paint him as some kind of conspirator with anti-Clinton Russians, President Trump maintains the support of nearly half of Americans. Donald Trump received 8% of the African-American vote in 2016 which may seem like a small number but it’s more than any Republican since George W. Bush received 9% in 2000. Some polls have indicated that this number has already doubled. President Trump’s approval rating among Hispanic Americans is something Democrat operatives are watching very closely. He received just 29% of the Hispanic vote in 2016 which may seem small but it’s the first time the GOP share has increased in a presidential election since 2004. Some recent polls have shown him with as much as 50% support among Hispanics. The President delivered his State of the Union address just a couple of months ago which was wildly successful by any measure. A CBS poll showed that the speech was approved by nearly all Republicans, a majority of Independents and even by one-third of Democrats. Now that Robert Mueller’s investigation has found the President innocent of any wrongdoing, the media has lost all credibility for covering it for two whole years. If there was a question of who was winning in the apparent ‘war’ between Trump and the media, it has been answered. 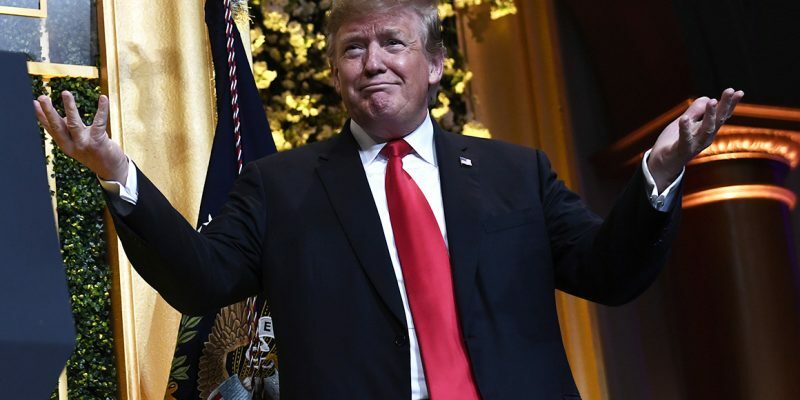 Donald Trump’s re-election campaign seemed to kick into gear overnight following the news, holding rallies, posting campaign videos online, and asking for donations in response to the disrespect the President has endured during his first term in office. Meanwhile, on the Democrat side of the 2020 race, there are too many candidates to count and the only ones who appear to be taking the lead are two unimpressive characters. In several separate polls from the last few weeks, Joe Biden leads the Democratic field with Bernie Sanders not far behind. Former Vice President Joe Biden may have credentials but he is a self-admitted “gaffe machine” who has already come under fire for inappropriately touching women throughout his career. And Sen. Bernie Sanders is a proud “democratic socialist” that would likely be a PR disaster for Democrats in the general election. They may very well lose the upcoming election, again, to a man they essentially paint as the devil. How can a political party sustain such a horrific defeat twice? The rhetoric may help with fundraising but Democrats have concocted their own demise with continued Trump derangement syndrome as Dr. Lance Wallnau coined it years ago. It seems like a lose-lose situation for Democrats in the age of Trump between him breaking through political-demographic ceilings, the booming economy, and Democrats’ being pulled further left by characters like Bernie who say the reason they are losing is because they aren’t liberal enough. It is becoming more and more clear that Trump has broken the Democrat Party. Previous Article How Is JBE Going To Square Up With National Democrats He Expects To Be Bankrolled By?